Real Madrid dropped points again in La Liga, this time in a 2-2 away draw against Levante. The Merengues scored first early in the game, but ended up conceding the equalizer twice and leaving the field with a single point. 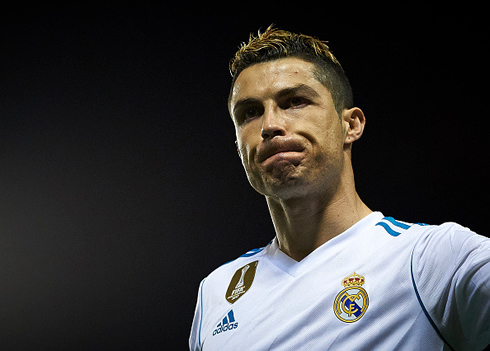 Just when we thought Madrid was getting back on the horse, another disappointing performance led to another draw in La Liga. The Merengues travelled to Valencia for the second time in a week period, this time to face local side Levante, currently sitting 17th in the league. 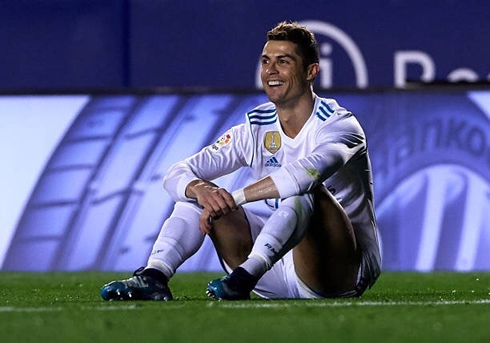 After grabbing the lead twice in the game, Zinedine Zidane's men couldn't hold on to the advantage and conceded a last minute equalizer that forced them to leave 2 points at the Ciutat de Valencia Stadium. In terms of the goalscoring record, Sergio Ramos scored the opener that gave the first lead and Isco then made the 1-2 in the last quarter of the game. 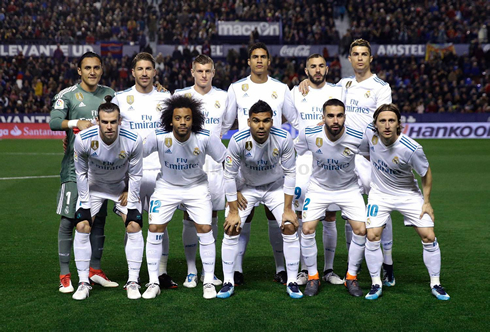 Well, some may have thought that the results of the past two weeks showcased some sort of changing in terms of Madrid's fortunes this season, but this campaign only brings more and more questions. A 2-2 draw away to Levante today stopped Madrid's La Liga winning streak at 2 and we've again found ourselves at serious risk of missing the Champions League next season, an unthinkable fact. Even when we manage to score, we still seem to concede untimely goals and drop points at the worst moments. Even the BBC couldn't save Madrid today, despite some decent interplay. A vintage Sergio Ramos header gave us the lead early, as Levante's keeper was left frozen by Benzema's attempted flick. The Frenchman whiffed and the ball bobbled off the keeper and into the back of the net. 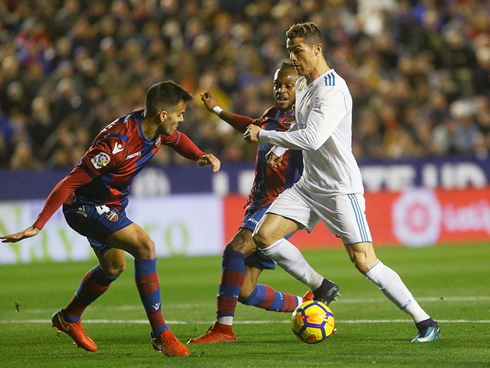 Real Madrid held on, but the vociferous home crowd spurred Levante on and they became more involved as the match went on, challenging Madrid at every turn and showcasing the kind of energy we've sorely lacked this season. Of course, the inevitable equalizer came and based on how we've played this season, it's really no surprise. Boateng, who had been a in a bit of a personal battle with Sergio Ramos all match long found the back of the net after Navas made an impressive 1-on-1 save. Looking back at what happened, the issues that lead to the previous breakaway for Levante were the real problem here. When it rains it pours really. Madrid's confidence is so incredibly low that regular mistakes add further weight to each player and the free playing spirit that we played with last season is long gone. Even Isco's 81st minute winner seemed to provide a respite for Madrid, but it was short-lived as Giampaolo Pazzini, yes he's still playing, finished the game off at the end after he broke free. Sergio Ramos' incessant pressing left acres of space behind Varane and Carvajal and the experienced Italian finished past Navas, who probably wished he did better. Poor defending, an inability to finish off chances and a lack of killer instinct have doomed this La Liga campaign. The PSG games seem like a looming death sentence and at this rate, Madrid would do well not to be embarrassed. Cristiano Ronaldo next game for Real Madrid is on February 10 of 2018 against Real Sociedad. You can watch Juventus live stream, Real Madrid vs Real Sociedad, Espanyol vs Barcelona, Crystal Palace vs Newcastle, Liverpool vs Tottenham, and Atletico Madrid vs Levante, all matches provided from our live soccer game pages.